"Graecia". Orig. copper-engraving, G. Mercator (1512-1594). Published in Amsterdam, ca. 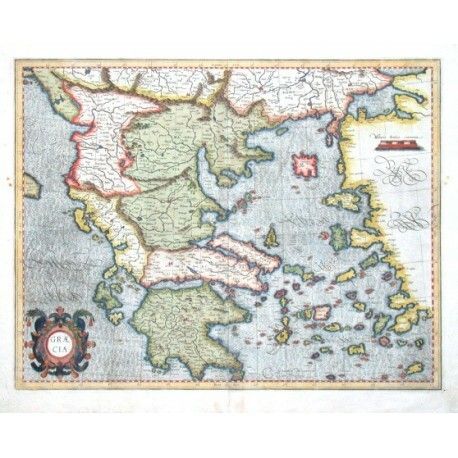 1590. Original old colouring. With coloured ornamental title-cartouche. 36,5:47 cm (14 1/2 x 18 1/2 inch.). Koeman I, map 7800:1.1, ed. 1:002/11 (1589-95 - first edition! 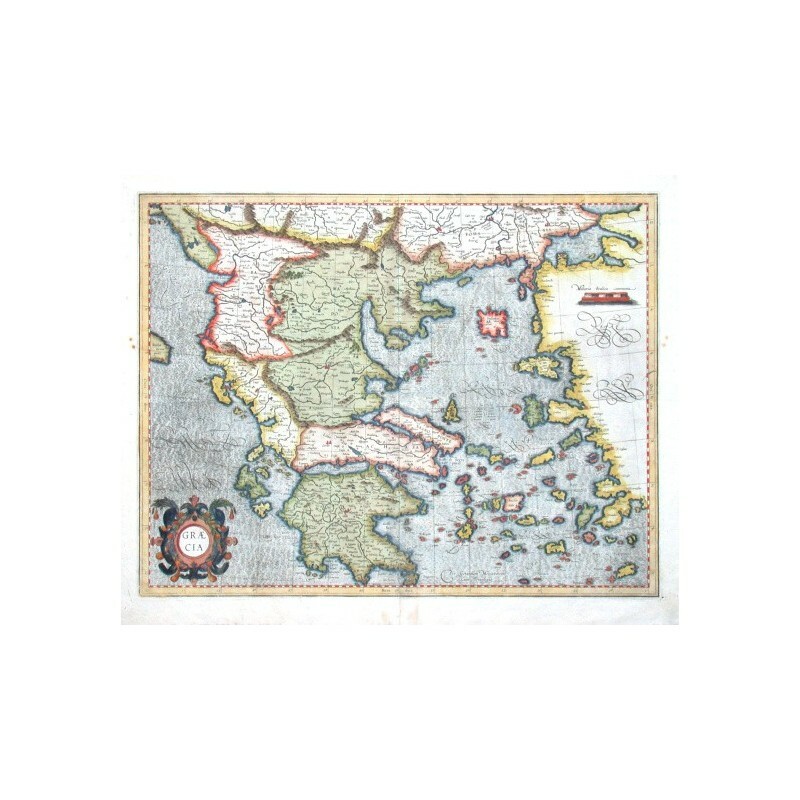 ); Zacharakis 1323 - Decorative map from rare first edition of Mercator's Tabulae Geographicae atlas.